I’M A BRAND STRATEGIST & PHOTOGRAPHER WITH AN EYE FOR DESIGN. I LOVE TO develop engaging brand experiences that touch each part of the customer journey, AND I find the intersection of storytelling, design, and photography to be the sweet spot where all the magic happens. 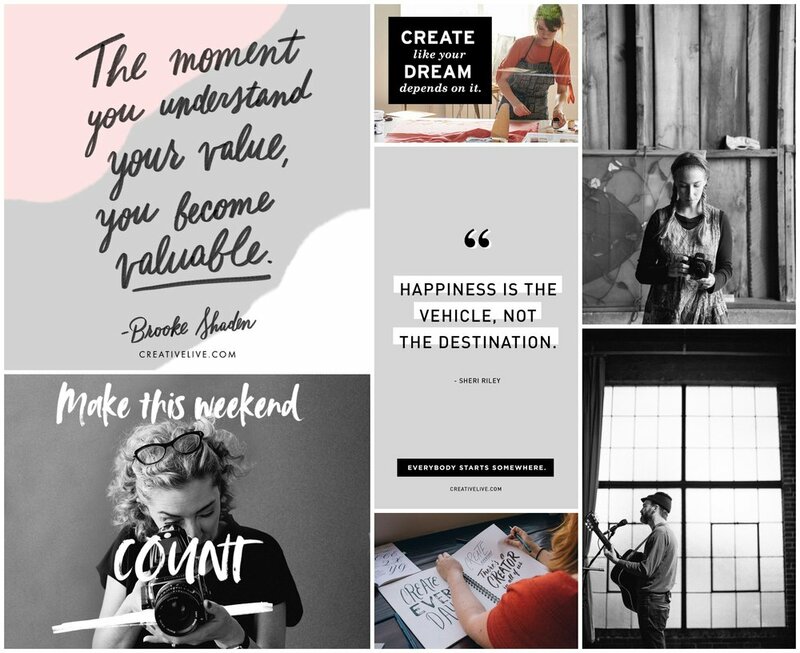 Over the past six years I've been working with a fab team of folks at online education startup CreativeLive developing content, establishing a brand voice and aesthetic, and heading up brand campaigns. I lead the brand strategy and established the mission, vision, value proposition, and brand attributes. We created a brand book and style guide as a foundation to move forward from and expanded the brand expression through voice and tone, photography strategy, and thoughtful design. From new product launches to concepting & creating new branded content to overseeing the brand’s heartbeat in the style guide and brand book development to building out brand experience pieces in the studios, as the sole brand role in the company I was the thread across teams and executions. I began my career in film production in LA which led me down a path as a producer. After over a decade of producing in post & production from edit houses to agencies, I decided to pursue more creative endeavors which led me to online education startup CreativeLive where I began as a Content Producer, went on to run the creative team and eventually moved forward to lead brand strategy. I'm also lifestyle photographer focused on storytelling through lifestyle imagery.